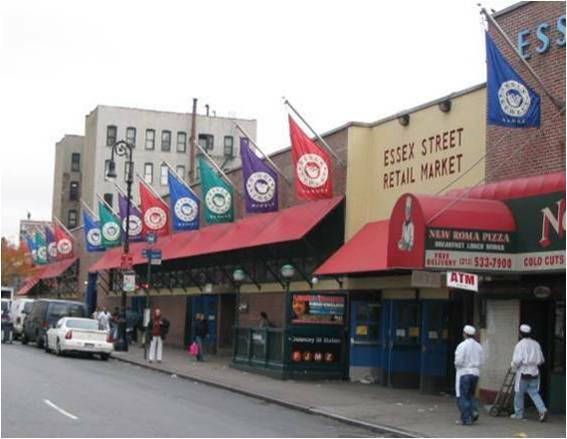 Essex Street Market was originally a four block long facility established in 1940 by Mayor LaGuardia as part of a series of citywide markets moving street vendors into indoor locations. New York City’s Economic Development Corporation (EDC), which operates the 20,000 square foot market, has reinvested in the market over the past decade and brought it back to life as a focal point of the Lower East Side. Despite the improvements, the market still had many dysfunctional elements that inhibited its operations and growth. In partnership with John Shapiro, an urban planning consultant, PPS was asked to facilitate community meetings to discuss a new opportunity for the market: relocation to a new facility across the street to be developed as part of the Seward Park redevelopment project. PPS facilitated two open community meetings to discuss the relocation and identify concerns and opportunities. As part of this process, PPS worked with Beyer Blinder Belle Architects & Planners LLP to create a conceptual design showing what a relocated market might look like and how it would be designed to maintain its current ambiance in an expanded facility with much needed infrastructural upgrades for vendors and customers alike. This concept design was further developed by EDC and included as a development requirement for the Seward Park Request for Proposals. The public process facilitated by PPS resulted in a consensus that the market could be successfully relocated. 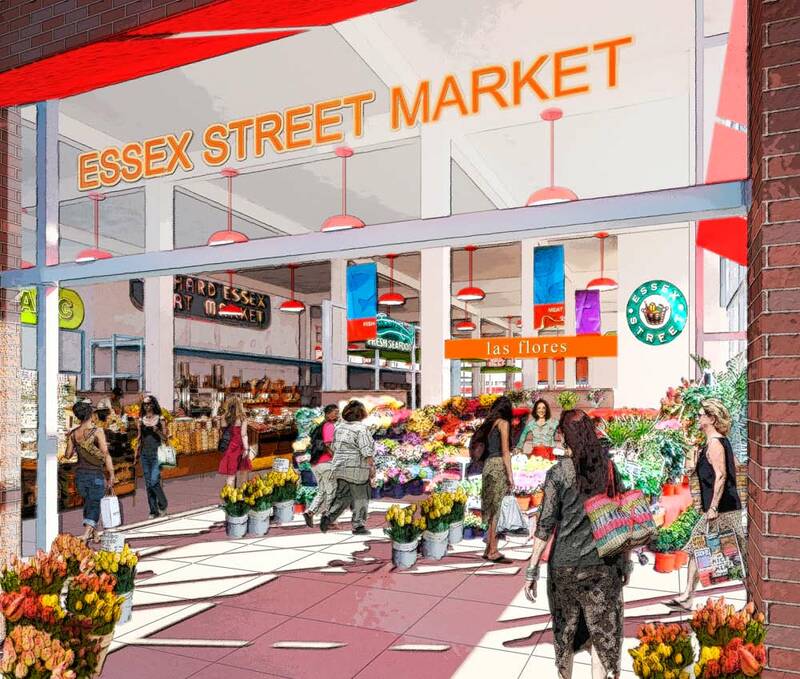 The selected developer will pay for all construction and relocation costs of the market as part of a mixed-use residential building at the corner of Essex and Delancey Streets, which will give the market and its vendor modernized facilities, expanded space, and more room for community uses.